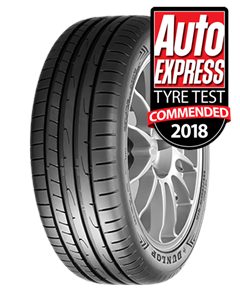 The Dunlop SportMaxx RT 2 is a Max Performance Summer tyre designed to be fitted to Passenger Cars. Excellent service at Melton Tyres. Really fast turnaround and the price was very competitive. Followed my requirements to the letter. Very happy. Thanks guys. Highly recommended. Always get great service when using Melton Mowbray Tyres. Same day call outs to any issues had, and always able to help if you go to them on site too. Always contactable out of hours, or a fast call back, delivering a brilliant service. John and the team are always approach able and I wouldn’t use anyone else. Very happy with the service, had to get new tyre to pass MOT, garage quoted me double your price so got a bargain too! The young man who fitted the tyre was polite and courteous, all done with minimum effort for me which is always a good thing. Would happily recommend and will be using you for my new tyres from now on.